If you’re looking for somewhere to stay that’s near Pigadia but a bit outside of the hustle and bustle, this is the place. 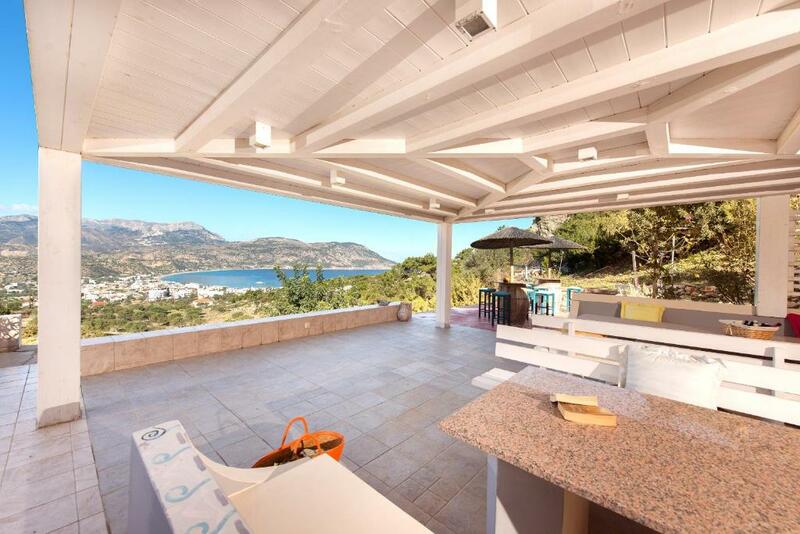 Wonderful location with stunning views. Clean and updated. You will not find a better property. although the road is not so nice, it is close to Pigadia and supermarkets. wonderful apart house, with nice view of the bay. it was clean and comfortable. Niki was great, she helped us about everything, and workers were always around to make everything smooth.. Willing and friendly owner. Nice view from the balconies. Parking on the property. 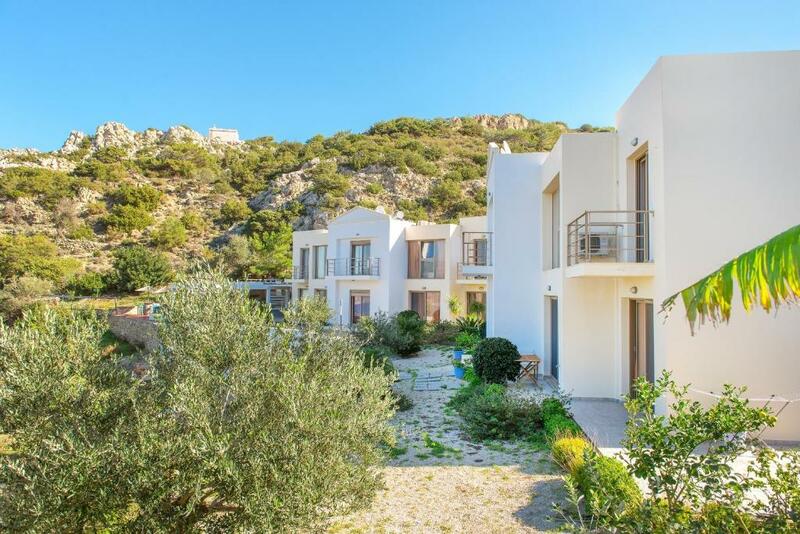 Quiet location,with a beautiful view of Karpathos town.Lovely little apartment,very comfortable.Nice and kind staff. Location was great with a beautiful view. A 2 or 3 minute drive to the nearby restaurants and port. Apartment was also very nice and comfortable. The cleaning staff was really friendly and willing to go the extra mile. Very nice people. Niki also gave great info and was really nice. The view is amazing!! The common area has afternoon sun and a few stretchers to relax, while taking in the perfect view. The apartments are nice and comfortable. The couple who cleans the apartments are so friendly, and keep everything very clean. Host Niki is very kind and helpful! Her tips for restaurants/bars and beaches were great. The place was very quite and clean. The host was very polite and informative! We enjoyed staying a lot at Renata's. Location is amazing. You have the most beautiful view of the mountain and sea. Apartment is cleaned everyday. Nikki is such an amazing host. Always there to help you out, give you advice about Karpathos (where to dine, what beaches to see, etc). You need a car to get to location since it's on a dirt road path but it's so worth it. Nothing beats the view! Don't hesitate to book. You won't find a better place. 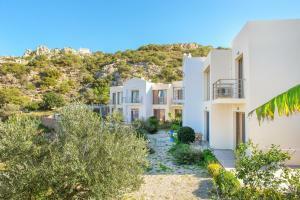 Lock in a great price for Renata's Villas – rated 9.1 by recent guests! One of our top picks in Karpathos.Located 0.6 mi away from Pigadia Beach, Renata’s Villas offers modernly furnished apartments which open out to a balcony overlooking the Aegean Sea. Within 1640 feet, you will find shops, a mini market and a restaurant. 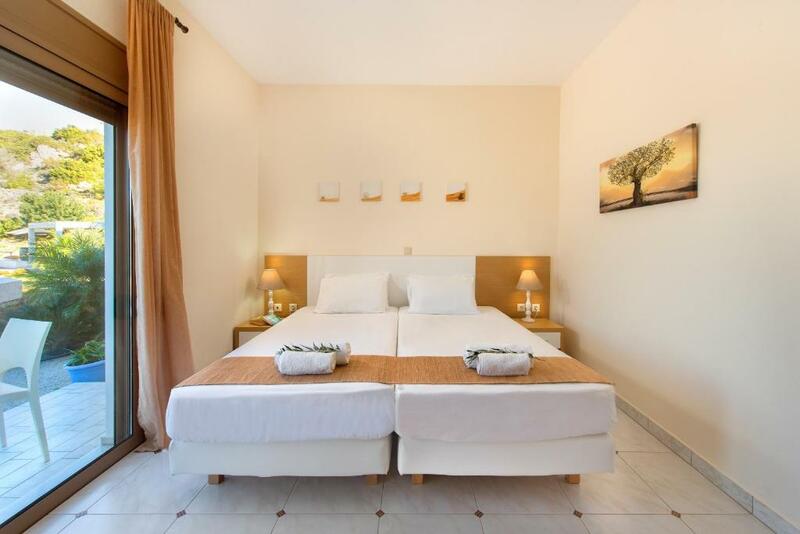 Renata’s apartments are bright and air conditioned featuring light colored furnishings. They all include a kitchenette equipped with coffee maker, electric kettle and mini fridge. They also consist of a living room and a separate bedroom. The port of Pigadia is 0.9 mi away, while Karpathos Airport is at 11 mi. Free Wi-Fi is available throughout the property and free on-site parking is possible. 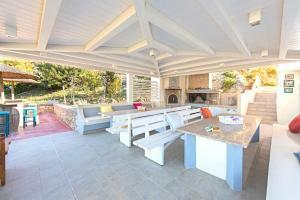 When would you like to stay at Renata's Villas? Modernly decorated with light-colored furnishings, this air-conditioned apartment overlooks the Aegean Sea from its balcony. It includes a well-kitchenette, a living room and free Wi-Fi. 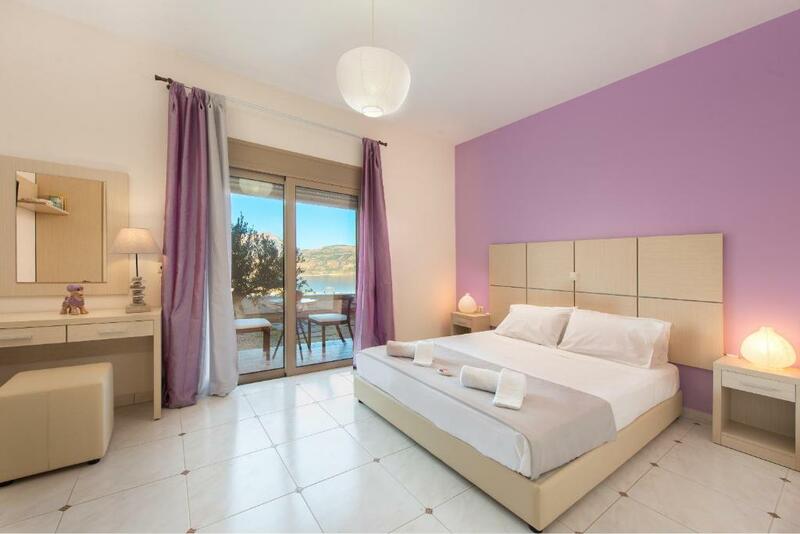 Modernly decorated with light-colored furnishings, this air-conditioned room overlooks the Aegean Sea from its balcony. It includes a living room and free Wi-Fi. Kindly note that the living room has either a bunk bed or a double sofa bed. This villa has air conditioning, tile/marble floor and kitchenware. Please note that the living room features a double sofa bed. House Rules Renata's Villas takes special requests – add in the next step! Renata&#39;s Villas accepts these cards and reserves the right to temporarily hold an amount prior to arrival. Renata's Villas accepts these cards and reserves the right to temporarily hold an amount prior to arrival. Please inform Renata's Villas of your expected arrival time in advance. You can use the Special Requests box when booking, or contact the property directly using the contact details in your confirmation. My eleventh accommodation in Greece, so we can compare it. Unfortunately, big disappointment from this accommodation. Photos on the web do not really match reality. I asked for a suite with a balcony and we had only an exit to a large, but shared terrace where there was never privacy. In addition, plastic inconvenient chairs! In the bathroom under the sink ants nest. After three days until our request was cleansed, but sometimes some insects crawled. The bedroom is so small, that there is only 1 bedside table and 1 electricity does not work, so if you want to charge your mobille or an e-book, it's a problem. The pillows are rigid and hard. Towels are changed only once in 3 days! The bathroom is also very small. The fridge is noisy and it disturbed us up despite the closed door. Every morning we woke up the cleaning service when she was riding out with the tools. Laying towels on the terrace table as if she wanted to go and clean it out, that's unacceptable!!! The building is not soundproofed and every sound and step from the upper floor is heard. Unfortunately we did not sleep enough once. This has never happened to me in Greece, and not at all for this price! The price absolutely does not match the quality. Everything is dilapidated, insect screens torn, no cleaning out there, so dust and sand still carry the patio inside. 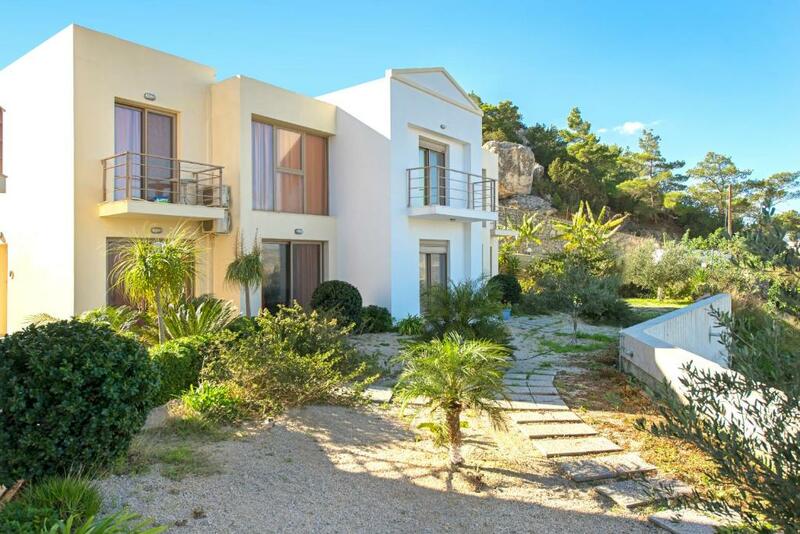 The location of the apartment is 2 km from the harbor on the wrong way and too steep uphill, but we count it. We absolutely do not understand ratings and previous reviews, we would not want to live here anymore. This property does not guarantee wifi per their listing as it is not reliable. But they do offer it. I didn't have it for 2 of the 3 days I was there. I can't fault them for not having it as it isn't specified in the listing (they brought this to my attention). But they could have communicated with me better on the status of the repair. They told me in a few hours it would be fixed. Then, 12 hours later when I arrived from a day out it was still down. A simple message via Whatsapp would have helped as I would have done what I had to do at the restaurant. This is minor but worth mentioning as some people may need internet connection. it was everything wonderful. the room was spotless clean. we will be able to visit this accommodation again..!! The wifi wasn't always great, and the kitchen only has the basic utensils. We had to improvise a bit without a cuttingboard. But really, these are only minor things! I would prefer having a balcony in the shadow where i could have my coffee in the morning, but this is minor comparing to the rest positive things we had.